Ground was broken April 2, 1996 for the Value City Arena at The Jerome Schottenstein Center and opened with a men’s basketball game on November 3, 1998. 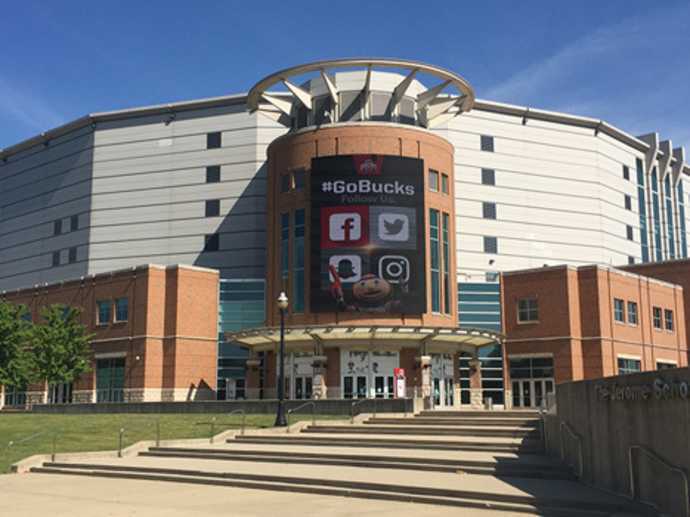 The Schottenstein Center is home to the Ohio State University Men’s and Women’s Basketball teams and Men’s Ice Hockey. The Jerome Schottenstein Center, a nationally renowned sports and entertainment center, is the largest arena in the Big Ten averaging over 1 million guests per year. Guests can see Archie Griffin’s Heisman Trophy, Jesse Owens’ 1935 Big Ten Championship bronzed shoe, the bronzed 1960 National Championship basketball and the 1997 Rose Bowl trophies when visiting the Schottenstein Center. The Jerome Schottenstein Center has host major sporting events including the 2005 NCAA Frozen Four and each the Ohio High School Athletic Association’s state boys and girls basketball and boys wrestling championships. The campus of The Ohio State University is located only five miles north of downtown Columbus.